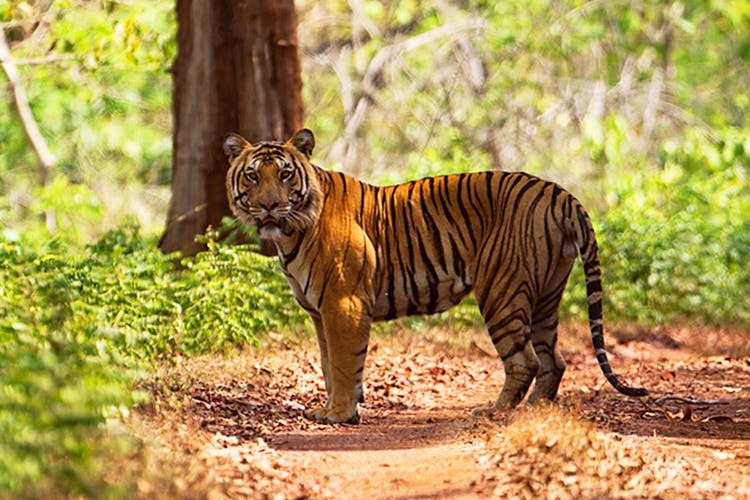 PUNE: The state forest department has arrested 12 persons from Pune for allegedly entering the core area of the Sahyadri Tiger Reserve without seeking prior permission from the government. According to forest department officials, the group of 12 persons entered the Koyna Wildlife Sanctuary on April 30 from Nandivase village in Chilplun. The Koyna Wildlife Sanctuary, part of the Sahyadri Tiger Reserve, is spread across Satara, Sangli and Kolhapur districts. Forest officials said most of the 12 persons arrested in the case are employees of an automobile company in Pune. The forest department has identified them as Tushar Nikam, Sachin Gaikwad, Bhalchandra Gosavi, Rakesh Dhimte, Mohan Chunde, V B Irakshetty, Abhijit Dhawale, Manish Kulkarni, Kiran Tavhre, Sandip Patil, Subhash Badhde and Sadanand Amrute.